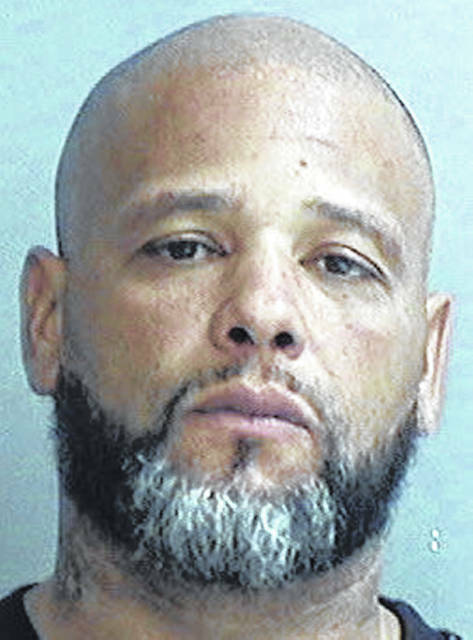 WILMINGTON — A local man received a five-year prison term for shooting another man last fall in southeast Wilmington in the area of Hawley and Langdon Avenues. Leon Turner Curtis, 37, of Wilmington, shot Nyles Williams, also of Wilmington, twice with a handgun just after midnight Oct. 30, 2018. The shooting victim was at the recent courtroom hearing where Curtis pled guilty to felonious assault and then was sentenced. According to a court paper, Williams supported the negotiated resolution of the case, which included a recommendation by both parties for the five-year prison sentence. The victim was taken originally to Clinton Memorial Hospital with gunshot wounds to the left knee and in the left side hip/abdomen section of his body, stated a police affidavit. The victim later was transported via medical helicopter to Miami Valley Hospital in Dayton. As part of the sentence pronounced by Clinton County Common Pleas Judge John W. “Tim” Rudduck, Curtis will be supervised by the Ohio Adult Parole Authority after release from prison for a three-year period. Curtis waived a pre-sentence investigation, something judges use in determining sentence. Curtis indicated he wanted to go ahead with sentencing the same day he pled guilty. The judge granted the defendant credit for 91 days spent in jail on the case. Curtis was not immediately taken into custody after the shooting, as he reportedly fled the scene shortly after the crime. A little more than 24 hours later, though, the Wilmington police SWAT (Special Weapons And Tactics) team took Curtis into custody without incident at a Columbus Street residence in Wilmington where he was hiding out, Police Chief Duane Weyand told the News Journal at the time.